The research studies of Infinium Global Research identify the trends in the world energy markets, and forecast the market size over the forecast to help the clients understand the trends in the market and make their investment decisions accordingly! A recent report published by Infinium global research on load cell market provides an in-depth analysis of segments and sub-segments in global as well as regional load cell market. The report is a comprehensive presentation of trends, forecast and dollar values of global load cell market. According to the report, the global load cell market is projected to grow at a cagr of 3.4% over the forecast period of 2018-2024. A recent report published by Infinium Global Research on peat market provides in-depth analysis of segments and sub-segments in global as well as regional peat market. The report is a comprehensive presentation of trends, forecast and dollar values of global peat market. According to the report, the global peat market is projected to grow at healthy CAGR over the forecast period of 2018-2024. A recent report published by Infinium Global Research on geothermal heat pumps market provides in-depth analysis of segments and sub-segments in global as well as regional geothermal heat pumps market. The study also highlights the impact of drivers, restraints and macro indicators on the global and regional geothermal heat pumps market over the short term as well as long term. The report is a comprehensive presentation of trends, forecast and dollar values of global geothermal heat pumps market. According to the report the global geothermal heat pumps market is projected to grow at a CAGR of 9.8% over the forecast period of 2018-2024. A recent report published by Infinium Global Research on intelligent pumps market provides in depth analysis of segments and sub-segments in global as well as regional intelligent pumps market. The report is a comprehensive presentation of trends, forecast and dollar values of global intelligent pumps market. According to report the global intelligent pumps market is projected to grow at a CAGR of 6.2% over the forecast period of 2018-2024. A recent report published by Infinium Global Research on marine hybrid propulsion market provides in depth analysis of segments and sub-segments in global as well as regional marine hybrid propulsion market. The report is a comprehensive presentation of trends, forecast and dollar values of global marine hybrid propulsion market. According to report the global marine hybrid propulsion market is projected to grow at a CAGR of 7.0% over the forecast period of 2018-2024. A recent report published by Infinium Global Research on marine propulsion market provides in depth analysis of segments and sub-segments in global as well as regional marine propulsion market. The report is a comprehensive presentation of trends, forecast and dollar values of global marine propulsion market. According to report the global marine propulsion market is projected to grow at a CAGR of 3.8% over the forecast period of 2018-2024. A recent report published by Infinium Global Research on power transmission components market provides in depth analysis of segments and sub-segments in global as well as regional power transmission components market. The report is a comprehensive presentation of trends, forecast and dollar values of global power transmission components market. According to report the global power transmission components market is projected to grow at a CAGR of 5.3% over the forecast period of 2018-2024. A recent report published by Infinium Global Research on power transmission towers and cables market provides in-depth analysis of segments and sub-segments in global as well as regional power transmission towers and cables market. The report is a comprehensive presentation of trends, forecast and dollar values of global power transmission towers and cables market. According to the report, the global power transmission towers and cables market is projected to grow at a CAGR of 5.8% over the forecast period of 2018-2024. A recent report published by Infinium Global Research on pump and valves market provides an in-depth analysis of segments and sub-segments in global as well as regional pump and valves market. The report is a comprehensive presentation of trends, forecast and dollar values of global pump and valves market. According to the report, the global pump and valves market is projected to grow at a CAGR of 3.9% over the forecast period of 2018-2024. A recent report published by Infinium Global Research on subsea pumps market provides in-depth analysis of segments and sub-segments in global as well as regional subsea pumps market. The report is a comprehensive presentation of trends, forecast and dollar values of global subsea pumps market. According to the report the global subsea pumps market is projected to grow at a CAGR of 5.6% over the forecast period of 2018-2024. A recent report published by Infinium Global Research on wireless power transmission market provides in-depth analysis of segments and sub-segments in global as well as regional wireless power transmission market The report is a comprehensive presentation of trends, forecast and dollar values of global wireless power transmission market. According to the report the global wireless power transmission market is projected to grow at a CAGR of 28.5% over the forecast period of 2018-2024. A recent report published by Infinium Global Research on compressed natural gas market provides in depth analysis of segments and sub-segments in global as well as regional compressed natural gas market.The report is a comprehensive presentation of trends, forecast and dollar values of global compressed natural gas market . According to report the global compressed natural gas market is projected to grow at a CAGR of 10.5% over the forecast period of 2018-2024. 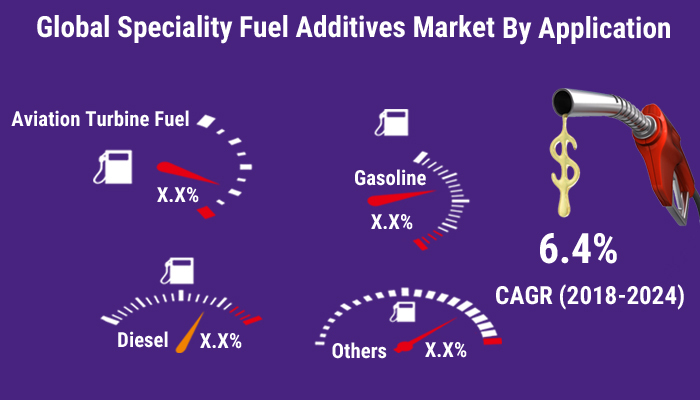 A recent report published by Infinium Global Research on crude oil carriers market provides in-depth analysis of segments and sub-segments in global as well as regional crude oil carriers market. The report is a comprehensive presentation of trends, forecast and dollar values of global crude oil carriers market. According to the report, the global crude oil carriers market is projected to grow at a CAGR of 3.6% over the forecast period of 2018-2024. A recent report published by Infinium Global Research on LNG bunkering market provides in-depth analysis of segments and sub-segments in global as well as regional LNG bunkering market. The report is a comprehensive presentation of trends, forecast and dollar values of global LNG bunkering market. According to the report the global LNG bunkering market is projected to grow at a CAGR of 73.6% over the forecast period of 2018-2024. 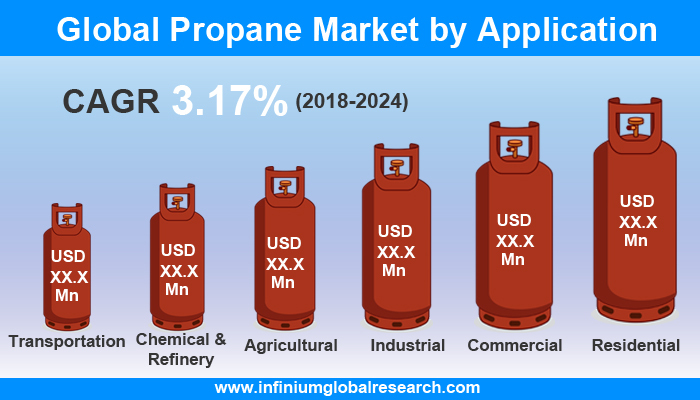 A recent report published by Infinium Global Research on LPG petroleum gas market provides an in-depth analysis of segments and sub-segments in global as well as regional LPG petroleum gas market. The report is a comprehensive presentation of trends, forecast and dollar values of global LPG petroleum gas market. According to the report, the global LPG petroleum gas market is projected to grow at a CAGR of 3.1% over the forecast period of 2018-2024. A recent report published by Infinium Global Research on Natural Gas Refueling Infrastructure Market provides an in-depth analysis of segments and sub-segments in global as well as regional natural gas refueling infrastructure. The report is a comprehensive presentation of trends, forecast and dollar values of global natural gas refueling infrastructure. According to the report the global Natural Gas Refueling Infrastructure Market is projected to grow at a CAGR of 10% over the forecast period of 2018-2024. 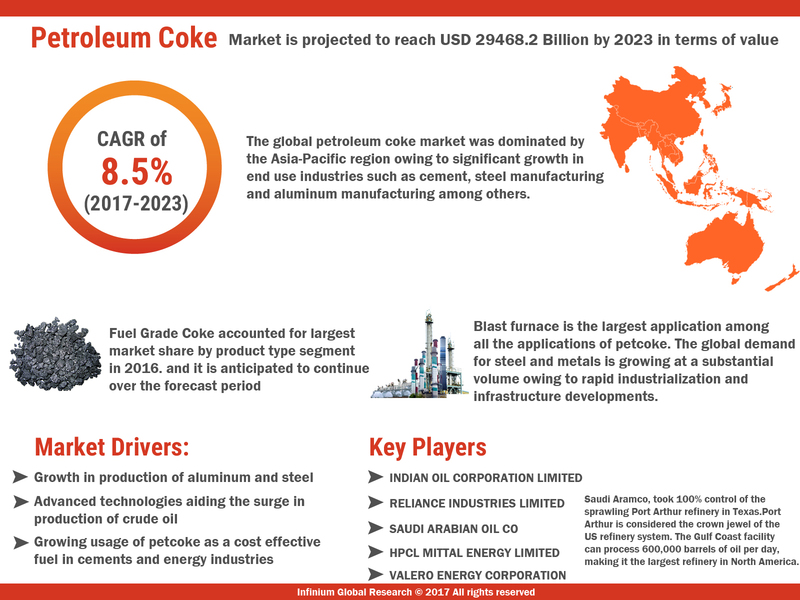 A recent report published by Infinium Global Research on needle coke market provides in depth analysis of segments and sub-segments in global as well as regional needle coke market . The report is a comprehensive presentation of trends, forecast and dollar values of global needle coke market .According to report the global needle coke market is projected to grow at a CAGR of 5% over the forecast period of 2018-2024. A recent report published by Infinium Global Research on oil and gas analytics market provides in depth analysis of segments and sub-segments in global as well as regional oil and gas analytics market. The report is a comprehensive presentation of trends, forecast and dollar values of global oil and gas analytics market. According to report the global oil and gas analytics market is projected to grow at a CAGR of 20% over the forecast period of 2018-2024. A recent report published by Infinium Global Research on oil field chemicals market provides in-depth analysis of segments and sub-segments in global as well as regional oil field chemicals market. The report is a comprehensive presentation of trends, forecast and dollar values of global oil field chemicals market. 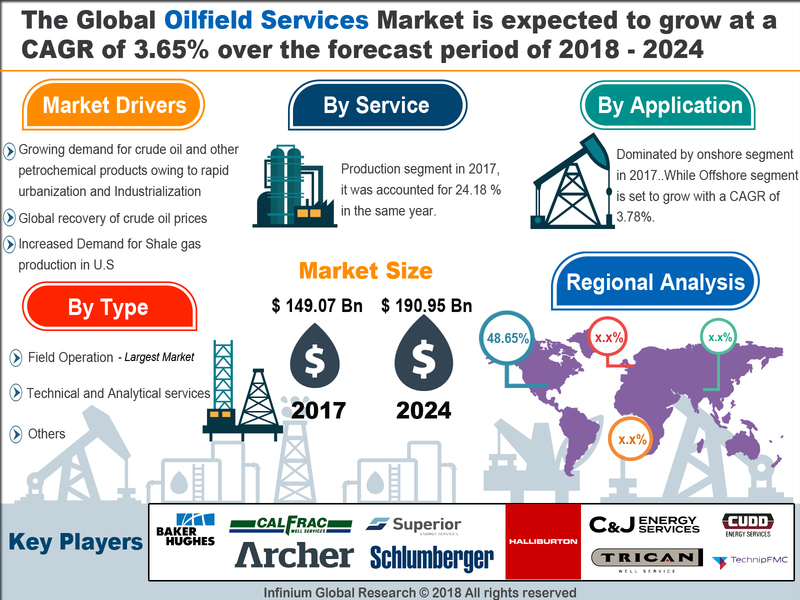 According to the report the global oil field chemicals market is projected to grow at a CAGR of 4.9% over the forecast period of 2018-2024. A recent report published by Infinium Global Research on oil shale market provides an in-depth analysis of segments and sub-segments in global as well as regional oil shale market. The report is a comprehensive presentation of trends, forecast and dollar values of global oil shale market. According to the report, the global oil shale market is projected to grow at a CAGR of 23.20% over the forecast period of 2018-2024. A recent report published by Infinium Global Research on advanced energy storage market provides in-depth analysis of segments and sub-segments in global as well as regional advanced energy storage market. The report is a comprehensive presentation of trends, forecast and dollar values of the global advanced energy storage market. According to the report the global advanced energy storage market is projected to grow at a CAGR of 5.9% over the forecast period of 2018-2024. A recent report published by Infinium Global Research on hybrid power solutions market provides in-depth analysis of segments and sub-segments in global as well as regional hybrid power solutions market. The report is a comprehensive presentation of trends, forecast and dollar values of global hybrid power solutions market. According to the report the global hybrid power solutions market is projected to grow at a CAGR of 8% over the forecast period of 2018-2024. A recent report published by Infinium Global Research on lead acid battery market provides an in-depth analysis of segments and sub-segments in global as well as regional lead acid battery market. The report is a comprehensive presentation of trends, forecast and dollar values of global lead acid battery market. According to the report the global lead acid battery market is projected to grow at a CAGR of 5% over the forecast period of 2018-2024. A recent report published by Infinium Global Research on smart grid market provides in depth analysis of segments and sub-segments in global as well as regional smart grid market. The report is a comprehensive presentation of trends, forecast and dollar values of global smart grid market. According to report the global smart grid market is projected to grow at a CAGR of 17.5% over the forecast period of 2018-2024. A recent report published by Infinium Global Research on solar street lighting market provides in-depth analysis of segments and sub-segments in global as well as regional solar street lighting market. 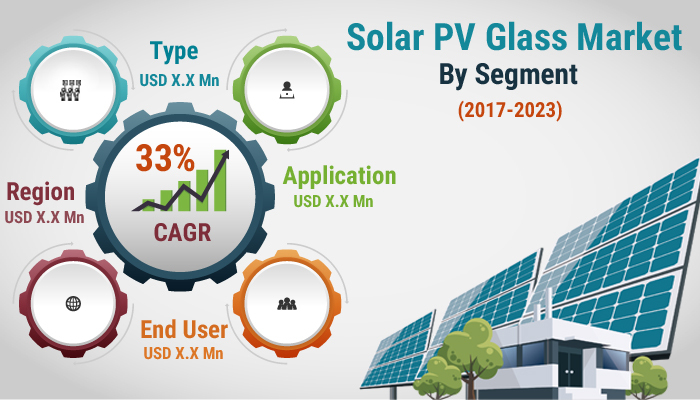 The report is a comprehensive presentation of trends, forecast and dollar values of global solar street lighting market. According to the report the global solar street lighting market is projected to grow at a CAGR of 23.7% over the forecast period of 2018-2024. A recent report published by Infinium Global Research on ozone generators market provides in-depth analysis of segments and sub-segments in global as well as regional ozone generators market. The report is a comprehensive presentation of trends, forecast and dollar values of global ozone generators market. According to the report, the global ozone generators market is projected to grow at a CAGR of 5.4% over the forecast period of 2018-2024. A recent report published by Infinium Global Research on concrete mixing machines and tools market provides in depth analysis of segments and sub-segments in global as well as regional concrete mixing machines and tools market. The report is a comprehensive presentation of trends, forecast and dollar values of global concrete mixing machines and tools market. According to report, the global concrete mixing machines and tools market is projected to grow at a healthy CAGR over the forecast period of 2018-2024. A recent report published by Infinium Global Research on Volt/VAR management market provides an in-depth analysis of segments and sub-segments in global as well as regional Volt/VAR management market. The report is a comprehensive presentation of trends, forecast and dollar values of global volt management market. According to the report the global volt management market is projected to grow at a CAGR of 5.7% over the forecast period of 2018-2024. A recent report published by Infinium Global Research on dye sensitized solar cell market provides in-depth analysis of segments and sub-segments in global as well as regional dye sensitized solar cell market. The report is a comprehensive presentation of trends, forecast and dollar values of global dye sensitized solar cell market. According to the report the global dye sensitized solar cell market is projected to grow at a CAGR of 11.2% over the forecast period of 2018-2024.